With a gin variety bigger than their wine list, it would be forgivable to mistake this Brooklyn spot for little more than a gin bar. But the food more than pulls its weight, sure to lure in even gin detractors. 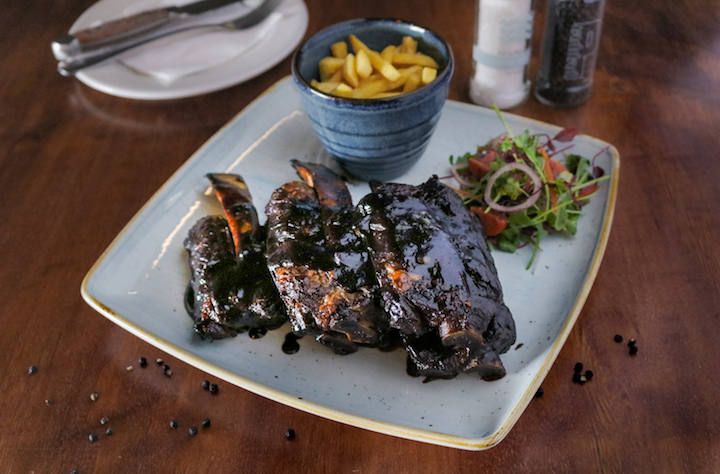 Carbon Bistro also does its best to support local producers and currently sources their meat from places such as the Kalahari and Free State. 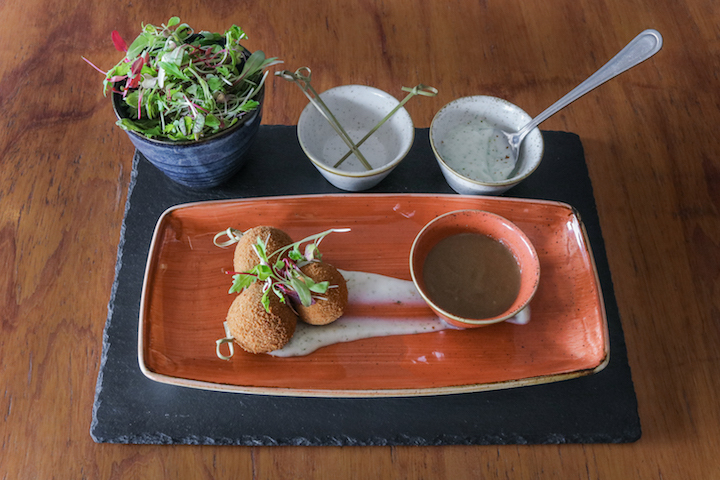 Nibbles and starters are listed on the first page of the menu, and include items such as potato cigars, chicken liver pâté, crispy chicken wings and roasted lamb croquettes, all of which can be shared and enjoyed with a drink. The crispy salt-and-pepper calamari is enough to share, though the accompanying mayonnaise could be better. There’s a small selection of boards featuring artisanal dipping sauce with beetroot hummus, sundried tomato pesto, tapenade, crumbed mozzarella and fresh bread. The main course options include ribeye and lamb rump, lamb cutlets, sticky beef ribs, venison of the day and deboned chicken. 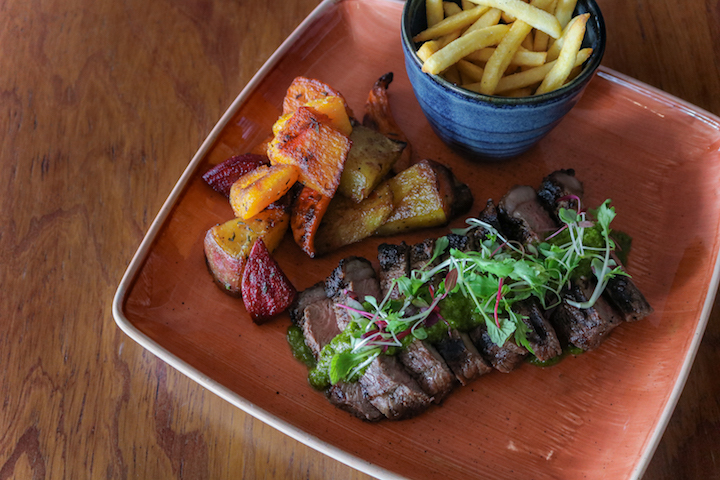 Opt for the Colita de Cuadril steak, accompanied by a deliciously fresh and vibrant homemade chimichurri sauce and served with roasted vegetables. Apart from the perfectly roasted vegetables, other side choices include mashed potato, creamy herbed rice, shoestring chips and a side salad. The menu also has a small selection of burgers. The Highwayman is utterly delicious, consisting of cheddar, Swiss cheese, pastrami, a soft-boiled egg, onion rings and BBQ sauce. 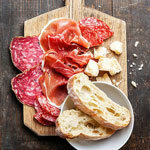 A few more salads and a vegetarian option or two should address the needs of those who don’t feel like a meaty feast. 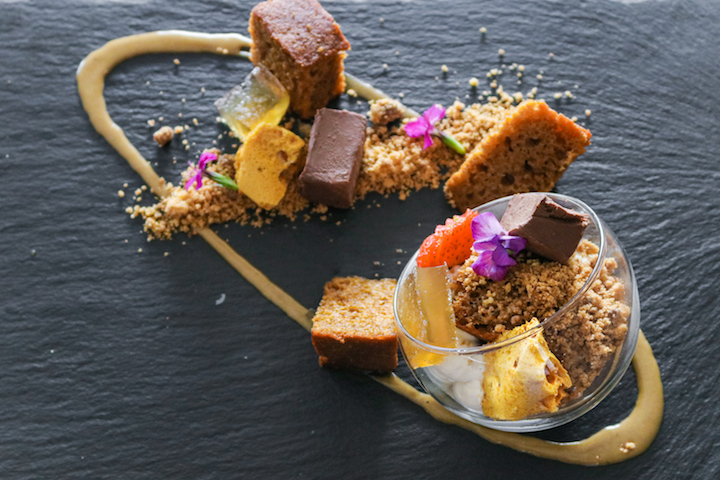 Desserts include chocolate brownies, deconstructed cheesecake, a decadent chocolate mousse, and beignets with a chocolate filling and mango cream. Squat and compact, the shape and size of the bar makes one think of a gin bottle. They currently stock over 150 gins, which include most of the gins produced in South Africa. They offer gin tasters, with little bits of aromatics in each glass to accentuate every gin’s particular flavour. Service is quick, competent and hands-on. Waiters and managers are always available to make suggestions and field questions. The waiters all look smart and neat in their blue gingham shirts and handle any accidents efficiently. Located in a small street close to Brooklyn Mall, Carbon Bistro offers a slightly more upmarket experience. The restaurant’s décor is modern, though somewhat generic and replaceable. A huge dispensing counter runs along the central axis of the restaurant, while the rest of the tables are divided into smaller areas for a more inviting and friendly feel. They have many regular events as well as their own restaurant wine club. Go for bubbly pairing dinners, vertical Shiraz tasting dinners and the Butchers & Brewers dinner, where different cuts of dry-aged, Wagyu and Black Angus are served with appropriate beer selections. We’ve had dinner here three times and each has been an incredible treat! The staff are knowledgeable, friendly and attentive and the food is superb. I’ll need to apply for my “Gin Passport” - what a selection! What I loved: service - absolutely superb! And the very focused menu, it doesn't try to be all things to all people. What I liked: the food and plating was good, but not mind blowing. I had the beef ribs with a sticky blueberry sauce. The meat was tender but the sauce, while sweet and sticky, barely had much of a blueberry flavour. I had this with the roast root vegetables which were incredible! The chocolate mousse dessert was mostly forgettable, but the honeycomb was a delight. What I disliked: the price. Our bill for two was around R600 and that excluded alcohol (but included their tonic drinks) and any starters or appetisers. Generally, it's a decent experience if you enjoy red meat, but I'm not in a hurry to return. Possibly the best fillet on the bone I've had; tender, juicy and cooked to perfection. And accompanied by a wide selection of craft gins. Can't beat it.